You know what Prince Charming never did for the princess? He never made her laugh. 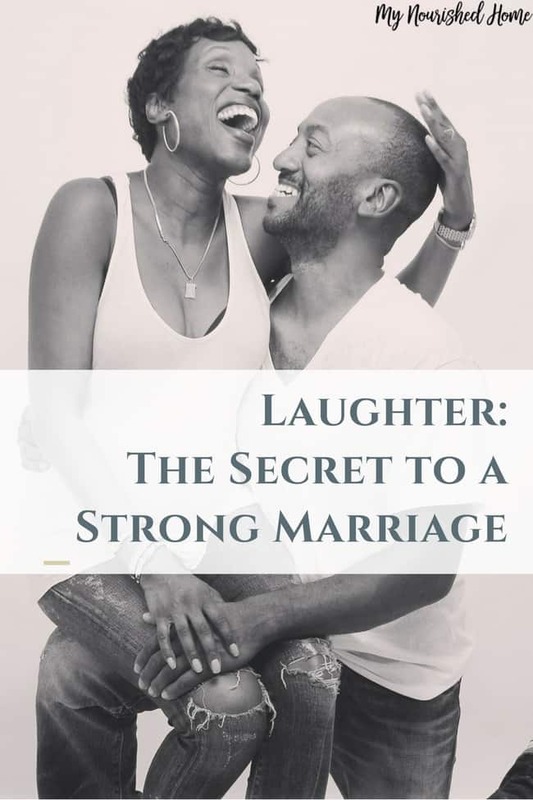 Ask anyone who has been married for a while what makes their marriage strong and successful and they’ll probably tell you three things – great communication, mutual respect, and laughter. For us, communication and mutual respect are the glue, and laughter is the sprinkles and whipped cream on top. It helps us keep a strong marriage and here’s why. Now, in the movie, she’s talking about exercise and endorphins, but the endorphins released from laughing do the exact same thing. When we feel good, we associate whatever we’re doing or whoever we’re with to a positive experience. When you feel good about your partner, your marriage is automatically stronger. I don’t know about you, but I love having inside jokes with my husband. Some people long for smoldering glances across a crowded room, but give me a quick look at my husband who’s sharing the same inside joke with me without saying a word and I swoon. There’s something incredibly intimate about knowing what someone else is thinking and when those thoughts are humorous, it helps to create that endorphin-released bond. The best part is when we’re alone later in the night and are laughing so hard I ruin my mascara with happy tears. Those are the moments to treasure. Former First Lady Michelle Obama agreed and said in a 2011 Valentine’s interview that her advice for couples was to “laugh with your partner.” When asked about what causes their strong marriage, she said, “I think in our house we don’t take ourselves too seriously, and laughter is the best form of unity, I think, in a marriage.” I absolutely agree! One of the best things about being married to someone is knowing that they get you. They understand your moods, your needs, and your desires. They also understand your sense of humor and quiet sarcasm better than anyone else. And, for the most part, they appreciate your wicked sense of timing and quick wit. Being able to be yourself freely and know that any bad puns or slightly off-color jokes told in the confidence of your spouse will stay between just the two of you is magical. It strengthens the bond of marriage by creating that connection and sense of fun that keeps you coming back for more. So, laugh it up, sweet married friends. Tell your partner a joke – it can even be so corny it’s cringe worthy. 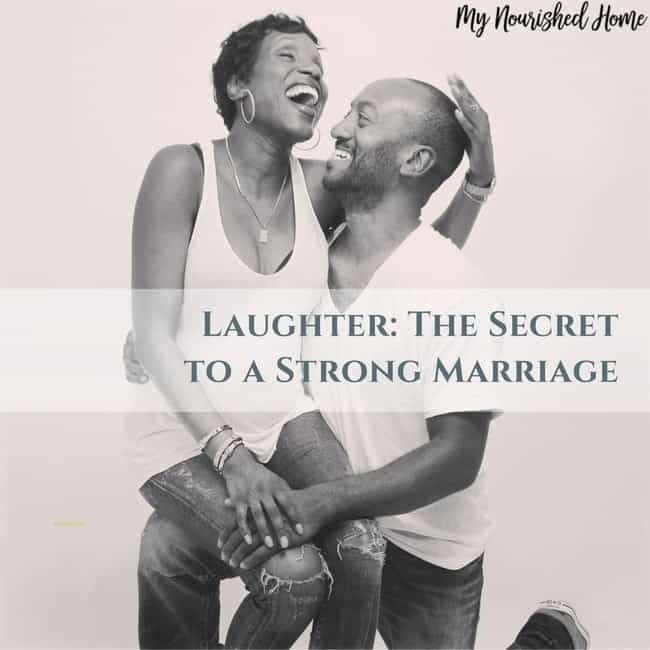 Make each other laugh, let your inner comedian loose for your spouse to see. Share private, inside jokes that make it hard to keep a straight face when you’re out in public. Release those wonderful, happy-feeling endorphins that will not only make you feel good – they’re the key to your strong marriage. You see, in marriage, laughter really is the best medicine.